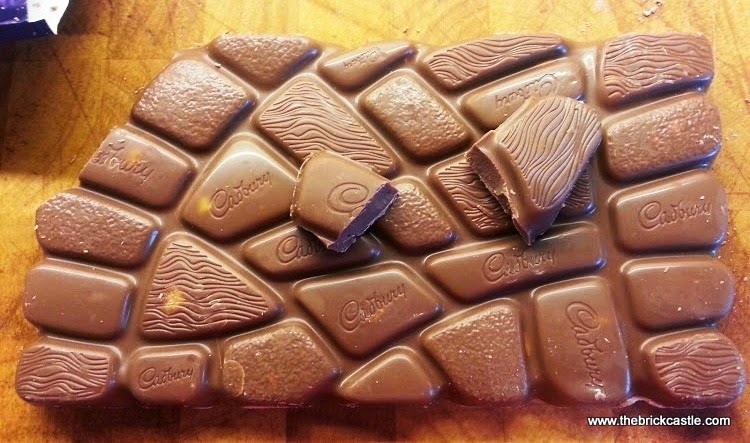 If someone offers you chocolate to review - why would you ever say no? 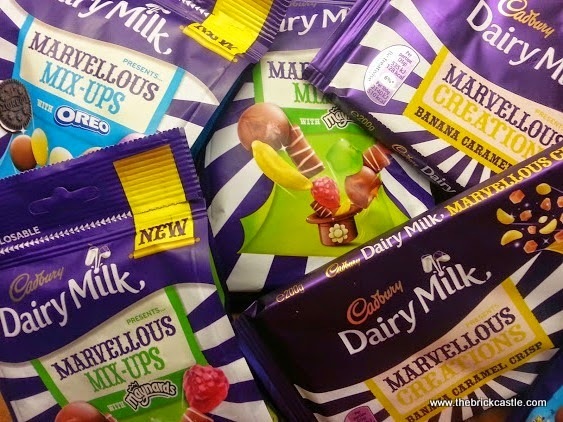 Cadbury's asked if we were interested in trying their new Dairy Milk Marvellous Mix-Ups and (for the kids you understand) I said yes. My favourite thing about all of this, even better than the gorgeous bright wrappers, is that the whole lot is vegetarian. Yep - safe for veggies. My 3 veggie kids can eat their fair share. 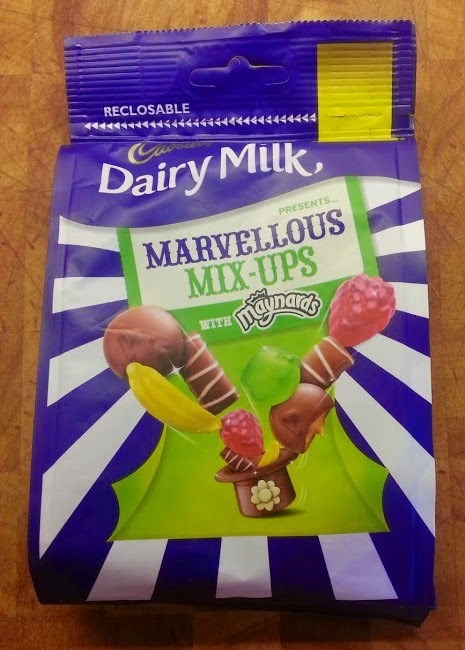 The first we tried are the Cadbury Dairy Milk Marvellous Mix-Ups With Maynards. They were a hit. The large buttons are caramel filled, which is gorgeous, but most were squished and so you got sticky fingers. It was worth it though. The mini-~Fudge were a really nice touch. 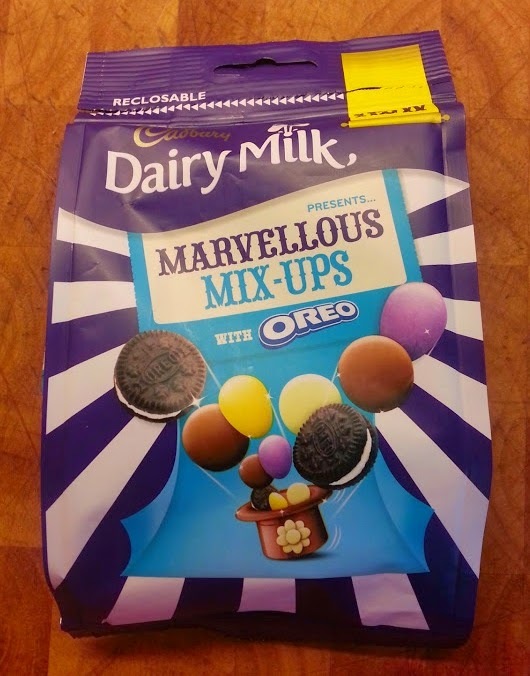 Next Marvellous Mix-Ups With OREO. Again, a definite hit. These looked less appealing because the OREOs leave dust all over everything, but it doesn't affect eating. I didn't like these as much as the Maynards, but at least 3 of the children preferred them. Favourite part was the pebbles - they were fought over. 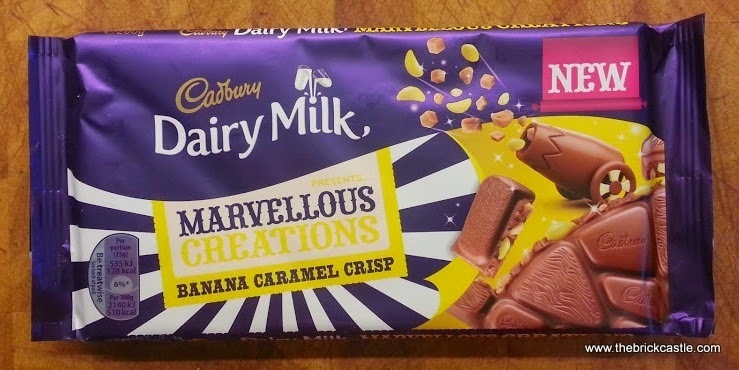 Last, but not least, the Marvellous Creations Cadbury Dairy Milk Banana Caramel Crisp. This was really much nicer than I even expected. I like banana, so I was expecting to like it, but thought it would be banana flavoured chocolate. 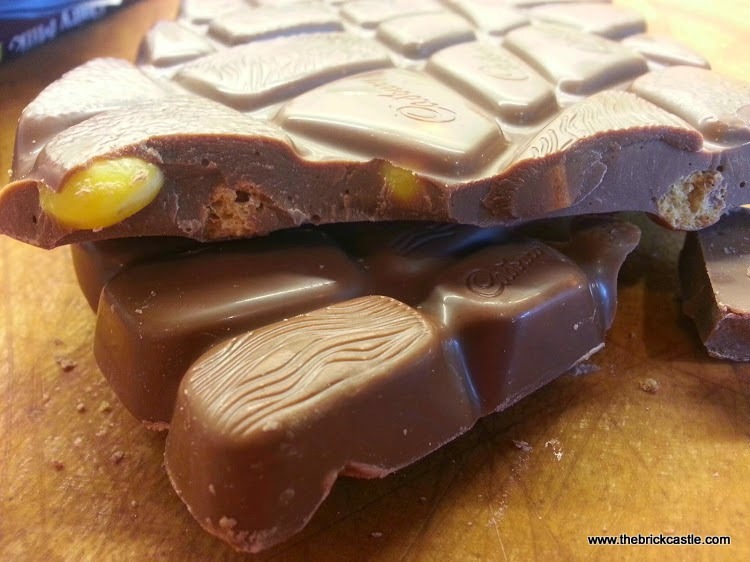 Actually it's chocolate with crispy bits, soft caramel pieces and banana sweets - they taste like the soft chewy bananas you get in a 10p mix, and it's lovely. A firm hit. 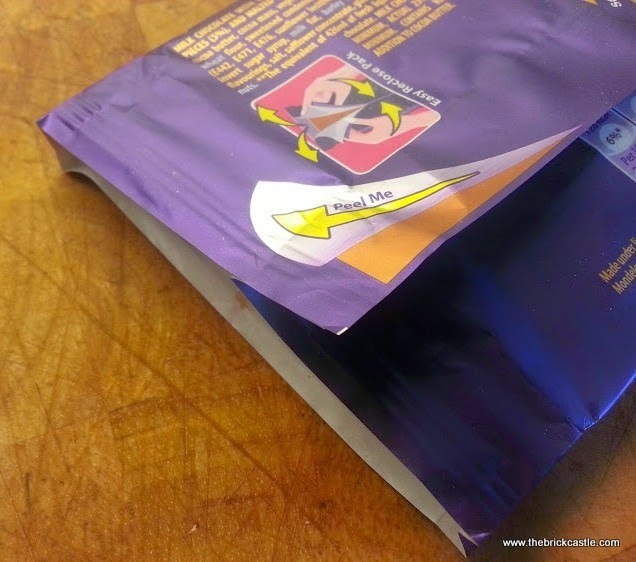 All of the packaging is resealable with those little stickers, and the chocolate bar wrapper is pull apart - it's really handy and stops little bits of rubbish and litter. We're impressed and all of these were a hit all round. Really tasty and delicious. 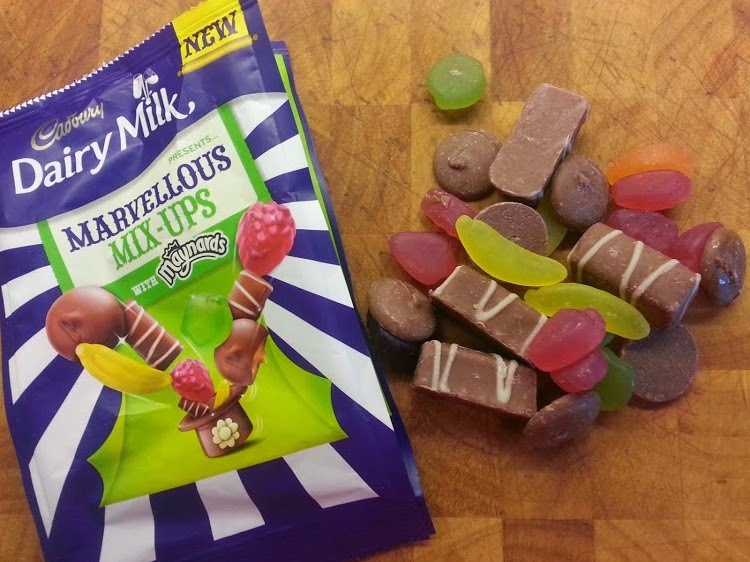 The Marvellous Mix-Ups retail at around £2.00 a bag, and the Marvellous Creations bars are around £2.50 (including from Cadbury's website). Prices vary - the most expensive I've seen today is £3.69, so be careful where you shop. We bought some! They are so delicious! Yum!! I haven't seen half of these for sale where I live - what a fab range of sweets and how lucky are you to get to review them! How do we sign up for that, haha! :D I have a #KidsCorner linky you might like to link this post up with, if you fancied. It's fairly new (I'm still trying to get it off the ground) but it's all about Kids' Reviews. I had a packet of the mix up's this week. Yummy. :D I hadn't seen them until I tried them - they're really different. I have a vague recollection of the Milk Tray Chocolate Bar, but I definitely never tried one. OMG these look amazing! Can't decide which I would like best - will have to buy all of them to decide! 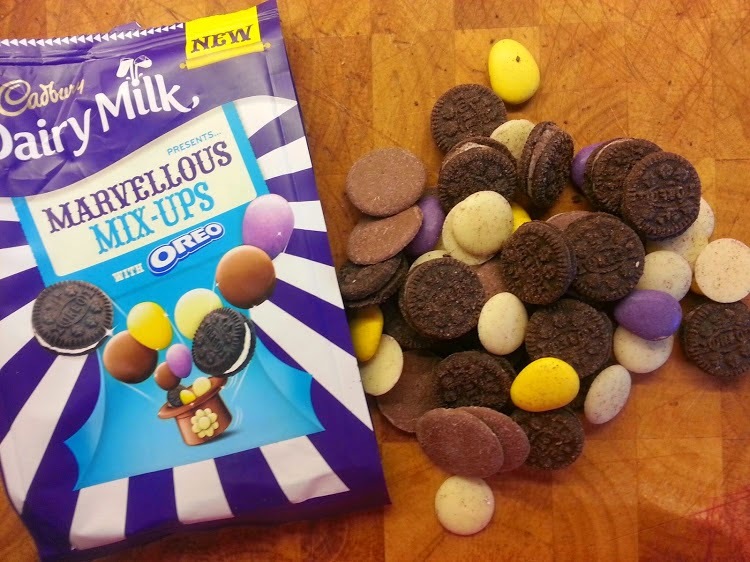 The Oreo mix looks good, I'm a bit obsessed by Oreo's but not tried this yet!